Organic isnt protected under the label GMO campaign, you can still spray NON GMO’s with toxic bio weapon pesticides. Organic means the plants genes are unchanged “AND” they have NO chemical growth or death stimulants. GMO free only means the plants genes haven’t been manipulated in a lab. That’s all it means. Over 51% of the National Organic Standards Board (NOSB) members are Monsanto shareholders or they are affiliated with them… This means they are conventional (GMO and Pesticide) food suppliers who own stock in organic companies…. And this allows them to seat the NOSB which gives them rights to change laws defining what constitutes the term organic. 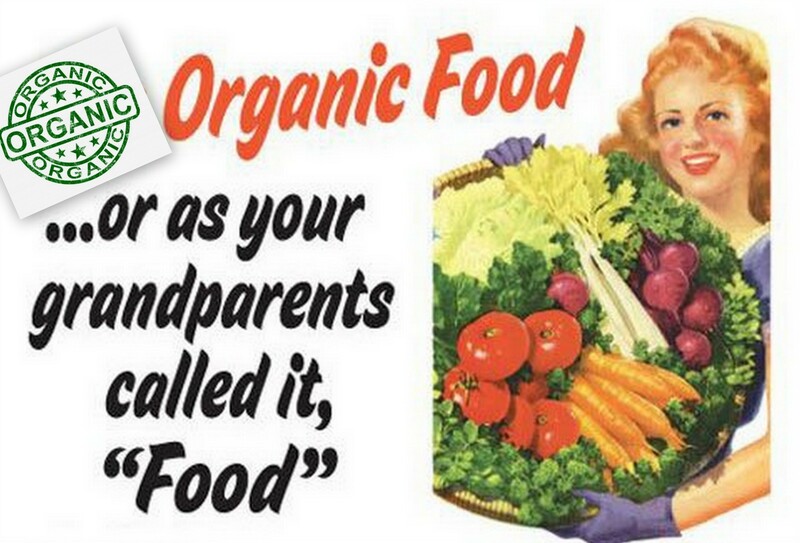 Conventional food suppliers now define what is organic or not because they head the board…. They decide what will be called organic…. Corn sugar….neotame, canola, pesticide allowance, Natural flavorings (lab made msg) … Etc. The USDA enforces the definition of organic as defined by the NOSB, not the other way around. If the NOSB changes the definition, the USDA will enforce it. Just like the the FDA, USDA and EPA, the NOSB also has a revolving door. Something to remember, stock is trade that changes day to day and sometimes hour to hour. This is what makes it very hard to know who has what at what time. This is done on purpose to prevent tracking. This is how they (governments/corporations) hide the going ons in everything. Even if you grow Non GMO crops in zones, the GMO crops surrounding them will just contaminate the Non GMO’s. The only way this contamination can be removed is to burn everything at the same time…. Conventional food makers know this, so they lose nothing by pretending to fight GMO labeling. This whole thing is an act. You are being manipulated. While companies pretend to fight and lose the battle of GMO labeling, plants are still be sprayed with dangerous chemicals, something you also breathe, killing bees, contaminating livestock and feed, seeping into lakes and streams, polluting everything in its path as it travels into ocean waters destroying reefs and coral and poisoning fish. The gmo movement is a complete and total fraud owned and run by conventional food makes and suppliers. People are so focused on the already compromised gmo they forget about what the real problem is… Pesticides, herbicides, fungicides and chemical fertilizer, in tandem with the production of GMOs. These are what has caused all the so-called climate change issues. Not the machinery and cars. These are what have destroyed our oceans coral systems. The combined use of fertilizers, pesticides, and fungicides with 60 plus years of use by 90% of all large AND small Farms around the world have poisoned our streams and waterways to the oceans. Ground, sky and water, this is the real cause of climate change (in addition to another factor I will not mention here). If GMO’s have to be labeled, the only ones affected will be those trying to grow organic…. They will be fined and shut down because of cross-contamination. This law does nothing to conventional food makers, it only criminalizes organic producers!!! What better way to take over the food supply and block organic products from reaching the people. You are being tricked into fighting the wrong battle. Labeling GMO doesn’t protect against chemical spraying. Like the title “All Natural”, GMO free is “NOT” organic!!!! We should be demanding the labeling of NON-ORGANIC as originally written … No chemical additives, no lab manipulation, and no gene splicing. Or better yet, we should be taking back the land and destroying these crops! No government is going to go against the chemical makers. No way! Never! Every part of military comes from the chemical makers! I don’t know if it’s this way in other countries, but here in the US, the GMO campaign is fake. When they finally allow us our labels, they will have changed the definitions allowing more and more chemicals into the term organic. This misguided cult following needs to be exposed for what it really is… A rally for self-genocide, and a way to railroad and manipulate the real threat… Lab-made chemicals are now being called organic! There is zero win for people or the planet in this label GMO campaign. The same organizations will have more power in dictating what is considered food and medicines by the very same companies who own chemical agriculture, pharmaceutical companies, oil drilling, media brainwashing, and world banking ….. aka……. “The War Makers. All I’m doing is exposing the behind the scenes fraud. I’m just trying to make sure those who are fighting know exactly what they fight for, and how to protect the original ideals of true organic, because “YOU HAVE THE RIGHT TO KNOW”!!! Whole foods and Monsanto shareholders are the same. This is gonna piss you off big time! Please copy and share this with everyone you know!